Thanks for the comment. Actually I’m quite familiar with Bill’s work and MMT in general, and I’m very much a supporter. I probably worded the title poorly. The post was intended primarily for a class discussion on corporate income taxes (and whether multi-nationals are paying “their share”). 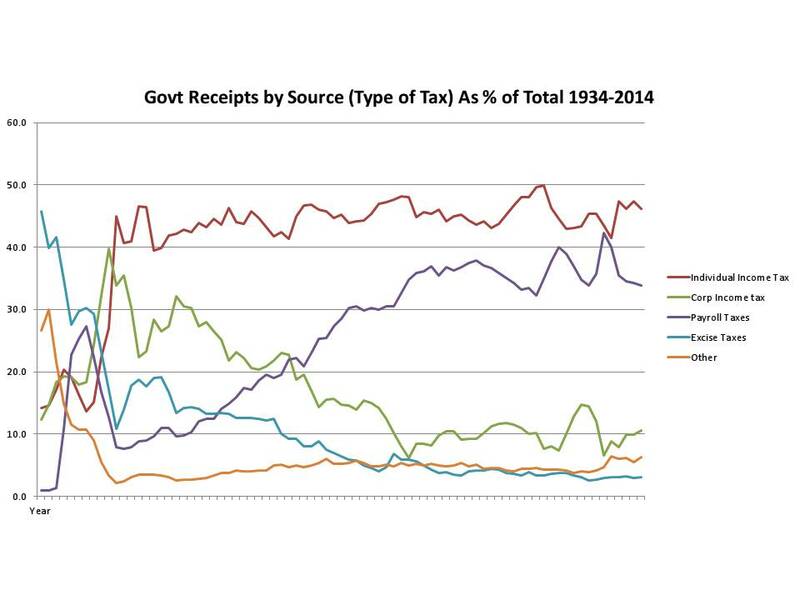 My primary intent was to provide some historical perspective on trends in how taxes are collected from different types of taxes. I didn’t mean to imply that taxes are necessary to “pay for government”. They aren’t. The government can “pay for its operations”, at least in part, by utilizing it’s sovereign authority of the currency (just spend it and create the reserves to support it). However, even with MMT, taxes are necessary. Partly to ensure a demand for the currency and partly as a macro policy to stimulate/slow growth depending on whether we’ve achieved full employment and full utilization of real resources.